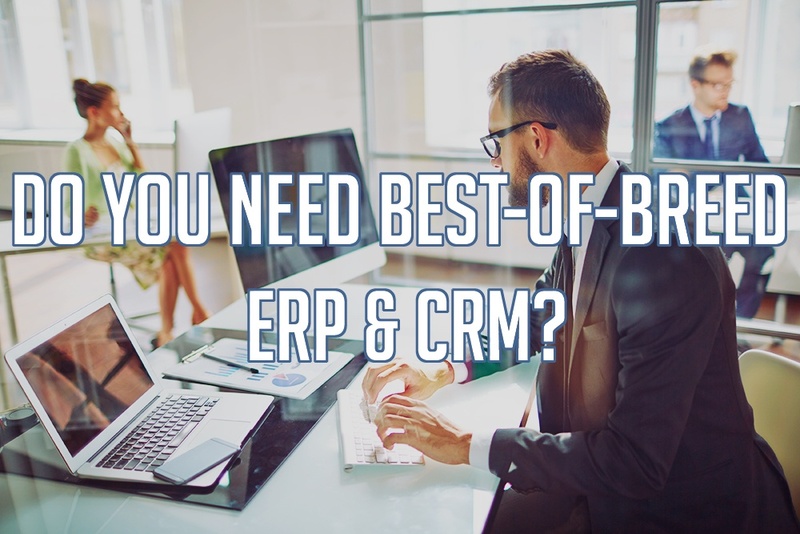 Do You Need Best-of-Breed ERP and CRM? In the modern world of the interconnected enterprise, it’s now nearly impossible to stay competitive without a combined CRM and ERP solution. A combined enterprise ‘suite’ allows companies to collect and analyze data from every single point of your company’s production, providing end-to-end intelligence from the manufacturing floor right through to the customer. Many of the biggest ERP and CRM vendors recognize the need for this kind of 360-degree functionality, and offer both systems within a kind of one-size-fits-all software solution. However, transformations in the world of cloud computing and integration platforms have made it easier than ever for enterprises to cherry-pick the ‘best-of-breed’ options from separate vendors depending on which CRM and ERP is truly the best fit, and then integrate the two afterwards. So, is it worth it to spring for the vast (and expensive) all-in-one packages that promise to support all of your business’ processes? Or is at a better idea to build out your own ‘best-of-breed’ suite with separate platforms (i.e. a CRM from one vendor, and inventory management for another) that are ultimately the best systems for your company’s unique needs? One of the biggest reasons a robust all-encompassing system might not be the best idea for manufacturing companies is just how unique a business’ operations are. From engineering and make-to-order functionality to demand and scheduling function for your shop floor, many of the giants in the ‘All-In-One’ arena simply won’t work for you out of the box. While Microsoft Dynamics or NetSuite may provide competitive CRM options for your front office and sales-teams, their ERP counterparts simply aren’t built with a manufacturing business in mind, and you will have to commission multiple add-ons and customizations just to get your ERP system to support all of your critical manufacturing functions. These kind of upgrades will cost you time and valuable investment dollars. Is that worth the (supposed) ease of CRM and ERP integration allowed by selecting an all-in-one suite? As you’ll see, this ease isn’t looking to be that much of a competitive advantage anymore. With the advent of cloud technology, Software as a Service (SaaS) and Integration Platforms as a Service (IPaaS), it is becoming easier than ever to integrate CRM and ERP systems from disparate vendors. 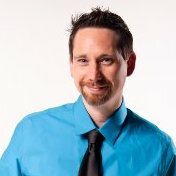 We recently covered this tech trend in our blog post, ‘Integration in the Cloud: The Future of Enterprise Software.’ Web-based integration services (like our own, Datix Unity) have the power to integrate a more manufacturing-friendly ERP like Epicor with any number of powerful CRM systems, like Dynamics or Salesforce. The cloud means that your data sync can be set up in a much shorter period of time, without requiring any on-site storage space. Furthermore, all of your information and support needs will be handled through your cloud integration provider, so that you don’t have to set aside investment dollars for server space and take time away from your IT team if that integration platform ever suffers problems. With the onset of more accessible integration that can connect best-of-breed ERP and CRM with ease, it is much more feasible for manufacturing businesses to single out what they need in their software, rather than settling. No longer do you have to suffer through less-than-ideal software just to reap the benefits of easier integration of CRM and ERP systems! Read Our ERP Reviews E-Book to Get Started on Selecting ERP Software! Both of our above points combine to reinforce the cost-efficacy of a best-of-breed strategy. From the lower TCO (total cost of ownership) of cloud software to the decreased need for add-ons and customizations that are inevitable with the all-in-one solutions, crafting your own personalized software strategy will usually be more financially viable for your business, and allow you to compete against the larger businesses in your industry with the same sophistication. Careful consideration must be taken when it comes to budgeting for a best-of-breed ERP and CRM solution, however. Multiple licenses from different vendors can sometimes add-up much more quickly than you suspect. Have an experienced team member (or bring in an outside consultant) to laser in on cost-differences between owning those multiple licenses—or paying multiple subscription fees in the case of cloud software—and customizing an unsatisfactory all-in-one system. Then, build a business case from there on your planned integration and what you need both systems to do. Figure out if integration between your own best-of-breed ERP and CRM systems are feasible and if it is, if you will be saving money (and a headache) by avoiding the customization process. The flexibility provided by best-of-breed enterprise systems can’t be matched—your company gets to pick which every specific piece of software that will work best for your organization’s different processes. That means you can invest as much as you need on the most important software that will keep you competitive exactly where you need to be and driving revenue. As your businesses grows, so too can your best-of-breed ERP and CRM solutions, too. After all, scaling up a cloud-hosted integration platform is simple—requiring only an increased monthly fee to store your data. Sticking with that all-in-one software might cause problems when you grow; will your current customizations and add-ons hold up to the increased volume? Can they withstand a diversification of your manufacturing processes? You must consider these questions before you decide to take the initially easy route; it may cause you a lot of pain down the road. Quite simply, the answer to our title question, ‘Do You Need Best-of-Breed ERP and CRM?’, is yes, most likely. While you don’t necessarily need to drill down into the fine details of ‘best-of-breed’ and hand-pick a lot of small different applications to compile together to create your enterprise system, it is a smart idea to look in multiple places for your heavy hitters, like CRM and ERP so that you know you have picked the best options for these crucial pieces of software. Cloud technology and IPaaS (Integration Platforms as a Service) are becoming more ubiquitous and cost-effective than ever, meaning you no longer have to deal with an unwieldy ERP system just to get the benefits of a first-class CRM system (and you do need both pieces of software to keep your enterprise competitive). For help selecting your manufacturer’s specific best-of-breed ERP and CRM software or integrating your existing enterprise software, contact an expert at Datix today. We are certified partners of Epicor, Salesforce, Microsoft Dynamics CRM, Scribe and Magento and can help you start building the ideal suite of software for your manufacturing business.